Payton Mannings brother? You Decide. Good morning its 59 degrees on a July morning in Des Moines so i figured i better get this up in fear that the Apocalypse may soon be on it way. 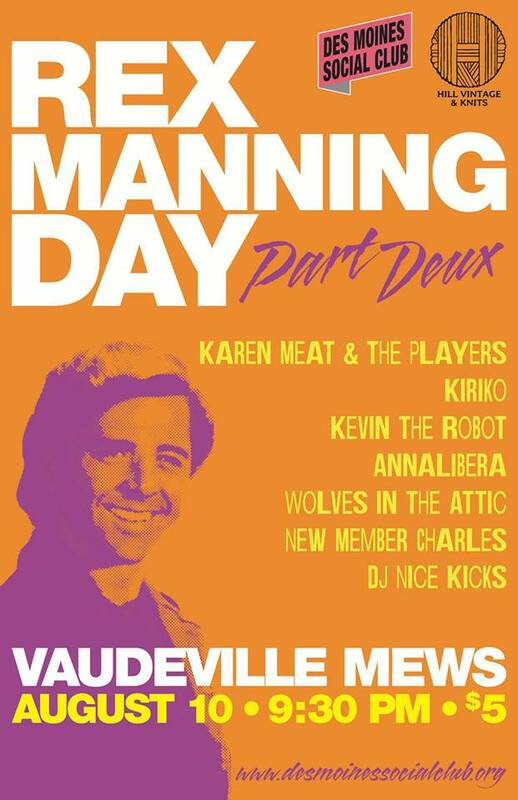 We have been asked to participate in Rex Manning day part deux an event that celebrates all the majesty that was the 90's. The event is being put on by the always cool Hill Vintage and knits and the Des Moines Social Club as way to celebrate what was. 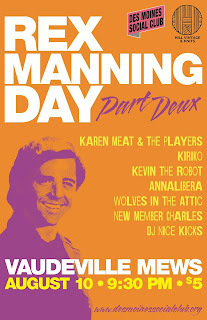 Its going down at our normal home The Vaudeville Mews on August 10th at 9:30 pm for a meager 5.00 cover. Why would i describe this monster 5.00 dollars out of your skinny lil pocket as meager? Well, the event will include performances by Karen Meat & the Players, Kiriko, Kevin the Robot, Annalibera, Wolves in the Attic, New Member Charles, and DJ Nice Kicks. On top of that each band and DJ will be playing all your favorite hits from that era that is slowly leaking its way onto the state fair circuit know as the 90's. 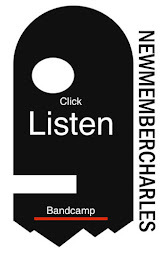 Thats right, songs an era free from the term indie and more akin to the terms; alternative, major label, nu metal, Lilith fair, boy band, cheese, and Evan Dando. Sarah's wrist band habit cause Lilith to be put on hold indefinitely. 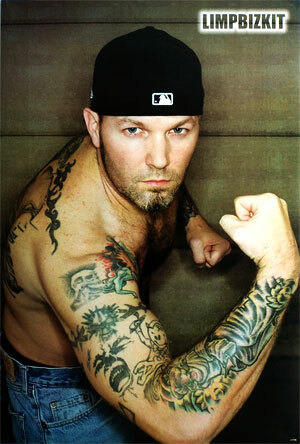 Avid Baseball Fan Fred Durst. New EP and PBR back bar!